By Asterix, January 16 in Hello & See You! I've been playing this game for a few days now and so far Ive been loving every bit of it! Found it while looking for a decent anime MMO with a friend. I'm so happy to have found it because I feel like this is "The one" MMO that I'll be sticking to. Cant wait to reach endgame and play with ya'll. Oh and a few quick questions while I'm here. What is there to do in the endgame? What even is the endgame? Is the things that you get from the Zenith cube only for the character I opened it on? And what is there to do with friends? I'm thinking of ways to rope my friends into actively playing this game too. Oh and is there any way to get permanent versions of the Special Operative costumes? Endgame is basically just running dungeons and fighting bosses in order to collect materials which you can use to craft/improve progressively stronger gear. Endgame is currently considered to be [PG: Deep] and [Wolfgang Program]. Costume cubes only give costumes for the character that opens it. Also, costume cubes do NOT contain accessories unless specifically stated. Run dungeons together, do PvP together, spar, start a Circle, pretty much the typical stuff you'd expect from an MMO. 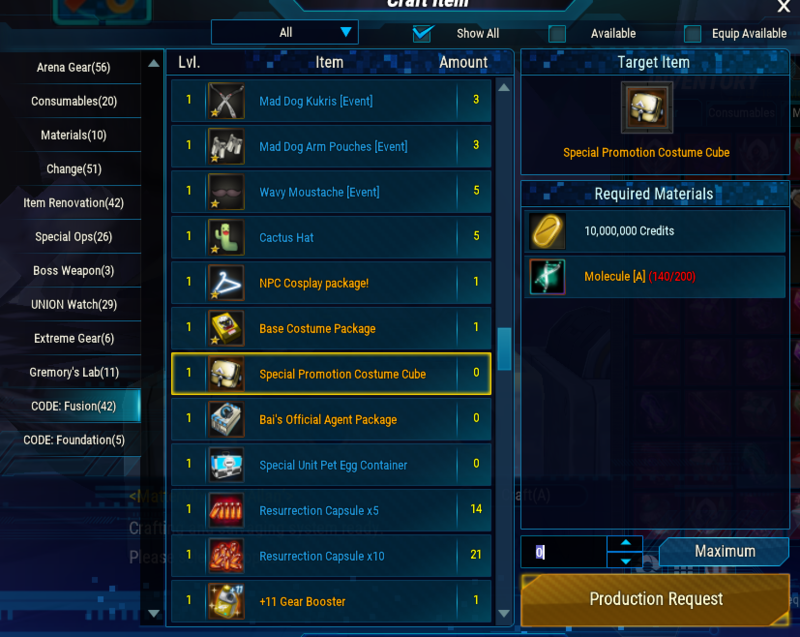 Permanent SA costumes can be crafted through Code:Fusion, which is this server's custom crafting system. Welcome to the server! it's always nice to see new players. I really hope you continue to support C:C.
As in regards to your questions, Rulebook pretty much answered them all. Hello and Welcome to CODE:Closers. to do in the endgame : doing daily dungeon runs which gives you materials for endgear. current endgame : Purification at Plane Gate : Deep and Wolfgang Program at Hunter night area. Zenith cube : it's only contains zenith accesories. it doesn't matter what character did you use to open it. Any accesories is accessible for all character. except Special Operative accesories. to do with friends : im mostly agree with Rulebook. permanent Special Operative costume : you can craft it through npc craft in any area. fyi Special Operative costume isn't upgradeable. Hiya, Asterix && Welcome to the C:C community! We hope you enjoy your stay here. If you have any other questions concerning the game, feel free to make a post in our general guides section--we'd be happy to help!